Ben was a Chief Executive for 8 years in the NHS. He has also been a Director of an acute trust, and run national improvement programmes. 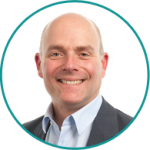 He has extensive experience of working with GPs, and is best known for setting up and establishing Nene Commissioning, first as one of the leading PBC organisations in the country, and then as one of the largest CCGs. 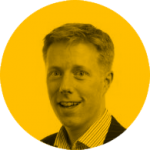 Ben left Nene CCG in April 2015 to set up Ockham Healthcare. At the time he said, ‘I have spent 20 years working in the NHS system. I want to spend the next 20 years working on the system. I want to make the system easier, more productive and more fulfilling for those who work in it, and easier to understand and more responsive to those who need it. I believe the platform for change that Ockham Healthcare creates is the best way for me to do this’. 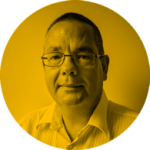 Ian has 30 years’ NHS experience, including as Head of Communications in a number of different hospitals. In 2008 he joined Nene Commissioning, a not-for-profit social enterprise formed by GPs in Northamptonshire, as Head of Communications and Organisation Development. He then played a key role in the establishment of Nene as a fully authorized Clinical Commissioning Group. He joined Ockham Healthcare in 2015. 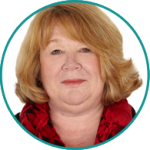 Karen has more than 15 years board-level experience working both locally and nationally, as well as a doctorate in Leadership and management. As a qualified Nurse and Midwife, she also has extensive clinical experience. She was awarded an OBE for her national leadership role in improving Emergency Care for patients across England. In 2014, she led a national drive to support women leaders in the NHS and was named one of the top inspirational women in healthcare by the HSJ and NHS Leadership Academy. 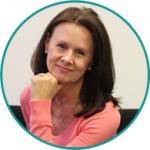 After qualifying (with Distinction) as an Executive Coach, she now works as independent healthcare consultant and coach, focusing on Leadership and organisational development. Philip Dearing is the Chair of the 160-year-old Hanley Economic Building Society, which he describes as “a gem amidst the raft of financial services firms”. Philip was a non-executive director of NHS Northamptonshire and Milton Keynes Primary Care Trust from 2006 to 2011. As a consultant offering interim solutions and business advice to the financial services and public sectors Philip has, in the last 18 months, undertaken strategic reviews for two Building Societies, a board effectiveness review, governance support to a CCG and board level recruitment services for both the public and private sectors. 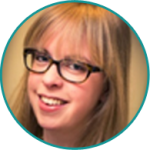 Jenny is an associate director at Lexington Health, providing communications consultancy to a range of healthcare and pharma clients. Before Lexington Jenny led the public affairs team at the NHS Confederation, having worked as senior political advisor to a Coalition government health minister during the health reforms. With a background in political journalism, Jenny combines expert knowledge of the media, a creative approach to communication and high-level strategic insight. Jenny is a former ballet dancer and enjoys singing, poetry and good food. Darin has extensive experience as both a provider and commissioner of Health Services. 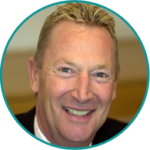 He has been a GP for 20 years, was Medical Director of a GP run Out of Hours service for 10 years, and won awards for his clinical leadership role within practice based commissioning. He has been the GP Chair of NHS Nene CCG since its inception, which is the 6th largest group in the country with an annual budget of £720 million. He thrives on challenges, having completed two Ironman Triathlon endurance events and completing the Everest Marathon.